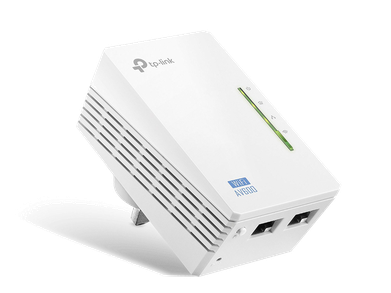 The TL-WPA4220KIT includes wired and wireless connections to extend your Wi-Fi network throughout your home, eliminating Wi-Fi dead zones and buffering. You can also use the Ethernet ports to connect smart TVs, game consoles and computers to a reliable connection. Simply plug and play, no configuration required. 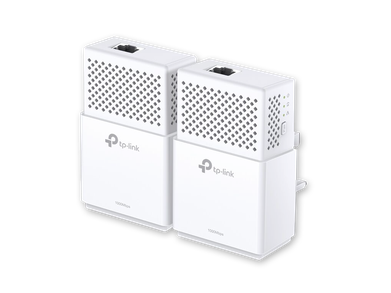 TP-LINK Powerline Adaptors extends your Internet connection to every room of the house through your home’s existing electrical circuitry. This is a great plug-and-play solution to connect all network compatible devices-from computers and game consoles to set-top boxes for IPTV to printers and NAS hard drives. 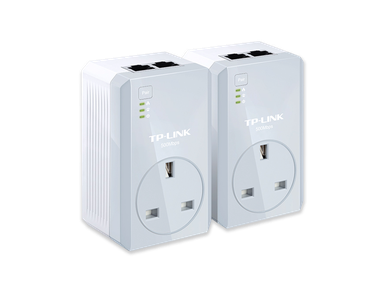 Using advanced Home Plug AV technology, TL-WPA4220 KIT provides users with stable, high-speed data transfer rates over a household electric circuit for up to 300 meters. Wherever there is a power outlet in your home, the TL-WPA4220 KIT will fit perfectly to provide ultra-fast transfer speeds. 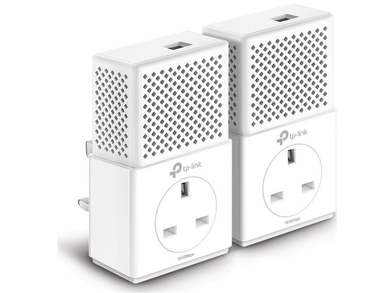 With their Integrated Mains Filter, TP Link Adapters can optimise powerline communication performance by suppressing noise interference generated by surrounding electronic equipment that can affect network performance. In other words, users won't experience a sudden drop in data transfer rates when a larger power consuming device is plugged into the power socket. These units can automatically copy the SSID and Password of your router. 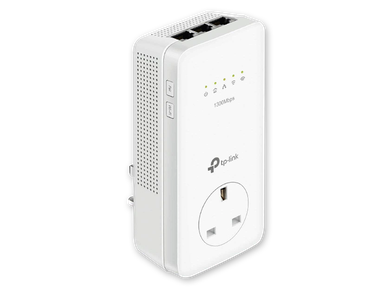 This helps to simplify your Wi-Fi configuration and allows for seamless roaming within your home or office network. A practical product design and included environment-conscious power-saving mode mean that the unit will automatically switch from its regular "Working Mode" to "Power-Saving Mode", reducing energy consumption by up to 85%. 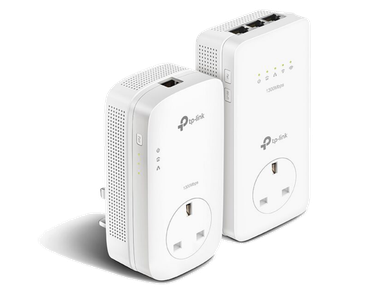 Also, the adapters’ “Pair” buttons can be utilised for securing or managing multiple powerline adapters in your home powerline network.